Orlando, Fla. (Jan. 22, 2018) – “A Celebration of Harry Potter” kicks off this weekend at Universal Orlando Resort and will feature a variety of interactive and exciting experiences that will allow guests to celebrate their love for the stories from J.K. Rowling’s Wizarding World. Today, Universal Orlando Resort and Warner Bros. announced the remaining lineup of experiences coming to the three-day fan event. 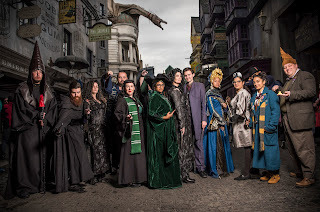 The final experiences added to the lineup include a special performance of highlights from the Harry Potter Film Concert Series at the Welcome Event, an in-park scavenger hunt, a costume showcase and even more exciting panels and activities in the Harry Potter Expo. See below for more details. For a complete lineup and more information about events happening throughout the weekend, including the Q&A sessions with select Harry Potter film stars and more interactive panels and demonstrations, click here. Guests will enjoy even more brand-new panels with Harry Potter film and creative talent. Admission into panels will be granted on a first-come, first-served basis. Get ready to experience Hogwarts like never before in the upcoming mobile game, Harry Potter Hogwarts Mystery! Learn how you can explore your Hogwarts Story and join the creators of the game for a sneak peek at the visuals, story, and gameplay of this groundbreaking Harry Potter RPG mobile game. In film, music represents the words that cannot be spoken. Join CineConcerts founder/conductor Justin Freer and co-founder/producer Brady Beaubien to discuss the magic behind the music throughout the Harry Potter film series. What makes the music so iconic? How can a single motif define the characters we love? Join in the dissection of music within a scene, and what it takes to create these complete scores performed live to picture by a full symphony orchestra. Learn about the complexity of specific melodies we all know and love, and how each film score has uniquely defined the Harry Potter series. Throughout the weekend, guests will be tasked to search for the answers to a series of clues hidden in both magical and Muggle locations throughout The Wizarding World of Harry Potter – Hogsmeade and Diagon Alley. A fun experience for all Harry Potter fans, families and kids alike! At the Opening Night Event on Friday, Jan. 26, the Orlando Philharmonic Orchestra will perform iconic music from the first four Harry Potter films live-to-picture alongside memorable scenes from the films. 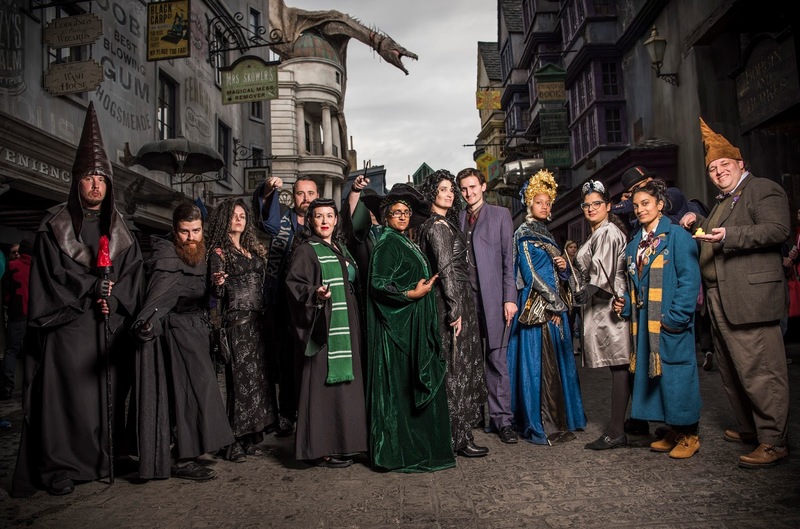 Fans will be able to shine onstage by dressing up as their favorite characters from the Harry Potter series. Each contestant who is selected will be judged on the quality and craftsmanship of their costume and will have the chance to win magical prizes. At the Harry Potter Expo, guests will be able to dive deeper into The Wizarding World with additional all-new and returning fan favorite booths and displays. Jam City is excited to present Harry Potter: Hogwarts Mystery, a new mobile game launching under Warner Bros. Interactive Entertainment’s Portkey Games, a label dedicated to creating gaming experiences inspired by J.K. Rowling’s Wizarding World. Fans are invited to be one of the first ever to experience the magic with a gallery wall, enchanting giveaways and hands-on gameplay accompanied by the developers themselves! Fans can learn more about the global sensation that allows fans to experience the magic of the Harry Potter films with a LIVE orchestra. Guests will be able to take an exclusive selfie at the Harry Potter Film Concert Series photo booth and take part in fun giveaways. Get ready to see the wizarding world as never experienced before with Fantastic Beasts and Where to Find Them Virtual Reality Experience. Fans can step into Newt Scamander's case and explore the spectacular world of Fantastic Beasts and Where to Find Them in a breathtaking cinematic virtual reality experience. Meet and interact with 6 beasts, complete spells, and immerse yourself in the magic like never before. This unique virtual reality experience is coming soon to major virtual reality platforms. Access to A Celebration of Harry Potter is included with regular theme park admission or with an annual or seasonal pass. Certain activities are first-come, first-served. Exclusive event vacation packages are also available for purchase and include special benefits and reserved sections for the panels and demonstrations. For more information about the event, tickets and available exclusive event vacation packages, click here.